Spotcheek Cichlid (Thorichthys ellioti) | Better Know a Fish! Let’s just get this out of the way: disappointingly, the fish genus Thorichthys is not named after Thor, neither the Norse god of thunder nor the Marvel Comics character. Waiting in line at the cinema last night, I recalled that there was a genus of fish named Thorichthys, after staring at all the advertisements around me. Ichthys comes from the Greek word for fishes (ἰχθύς), so does Thorichthys literally mean “Thor-fish”? I had to dig around to find out. My go-to reference for ichthyological information is FishBase.org. There, I looked up the genus Thorichthys — which are species of freshwater fishes topping around 6 inches (15 cm) and found in the rivers of Atlantic Central America, in Mexico, Guatemala, and Belize. Thoricthys belong to Family Cichlidae — the cichlids (pronounced sick-lids) — an incredibly diverse group of fishes found on four continents, sporting a dazzling variety of colors, shapes and behaviors. Some cichlids nurse their babies via their body slime, and others nest in empty snail shells. Many cichlids are cornerstones of the aquarium fish trade, while one in particular dominates the farmed seafood industry. Countless fascinating stories remain to be told about cichlids. The next step was to figure out who came up with the name Thoricthys in the first place. As mentioned in past posts, the taxonomy or naming of lifeforms is a complex, regulated affair not unlike that of legal proceedings, and the process is the same: determining which scientist’s assessment is valid and whether it should be upheld over past rulings. As such, these procedures leave a paper trail — including the original description of a new species by a scientist and the scientist’s own explanation for choosing a particular name. Thorichthys, it turns out, was named by a U.S. ichthyologist named Seth Eugene Meek, of the Field Museum of Natural History in Chicago. Meek created the genus Thorichthys in his 1904 report “The fresh-water fishes of Mexico north of the isthmus of Tehuantepec”, for a new species from Veracruz-Llave he named Thorichthys ellioti (pictured throughout this post), as well as for a few other previously known species he wanted to reclassify under his new grouping. Alas, we are still left without a “Thor-fish” in the end, though Thorichthys ellioti would be a rather petite tropical fish for such a thunderously Nordic name anyway. But we did end up with a glimpse into the past, a virtual journey through the scientific process 100 years ago — just picture yourself as Meek, seeing these sparkling, jewel-like little fishes for the first time, eager to study them and determine whether they might be a new species to share with the world. And once written, those scientific records enter into history, to be debated and discussed for decades on — even the basis for discussions as lighthearted as one triggered by a comic book movie, one century later. Note for Taxonomy Geeks: The appears to be a division in the accepted scientific name for this species between academic researchers and aquarists. Academic researchers have kept with Thorichthys ellioti (at least based on my very cursory Google Scholar search), whereas the aquarium trade appears to be using Thorichthys maculipinnis as the accepted name for the this species. As a standard for this website, I use names listed by FishBase, which itself often references the American Fisheries Society or the United Nations FAO. Thus, I chose to use T. ellioti here. For more about the T. maculipinnis assessment, see this article from www.cichlidae.com. Additionally, the naming history of Hero versus Cichlasoma versus Thorichthys is completely glossed over here. I will leave it to a true cichlid taxonomist to explain why and how Thorichthys remains a valid name today. I really just wanted an excuse to talk about fish and The Avengers at the same time, can’t you tell? Lastly, there is at least one other fish with “Thor” in its name: Arnoglossus thori, a type of Mediterranean flounder. Even so, the species name thori appears to be honoring a Danish research ship Thor, which carried out the 1908-1910 expedition on which this species was discovered. 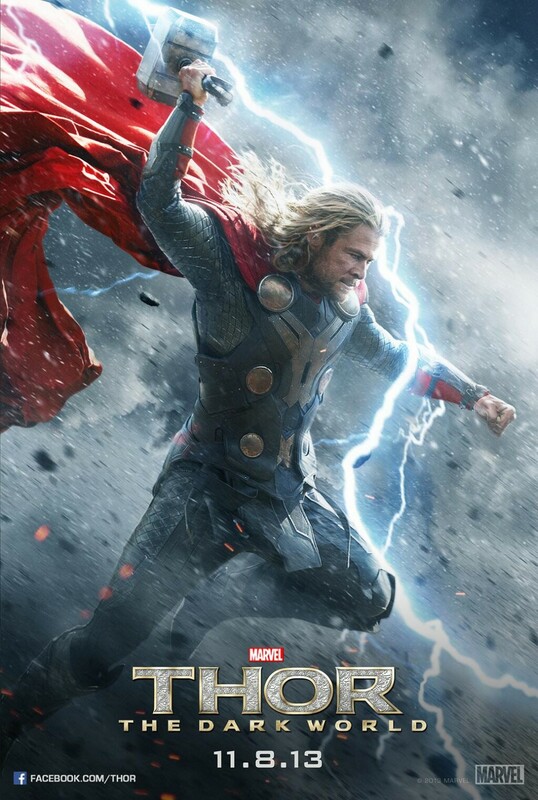 Now I want a ship named Thor…. This entry was posted in Actinopterygii, Freshwater Fish, Perciformes and tagged aquarium fish, cichlids, etymology, North America, Perciformes, spotcheek cichlid, taxonomy, Thor, Thorichthys, Thorichthys ellioti, Thorichthys maculipinnis. Bookmark the permalink.